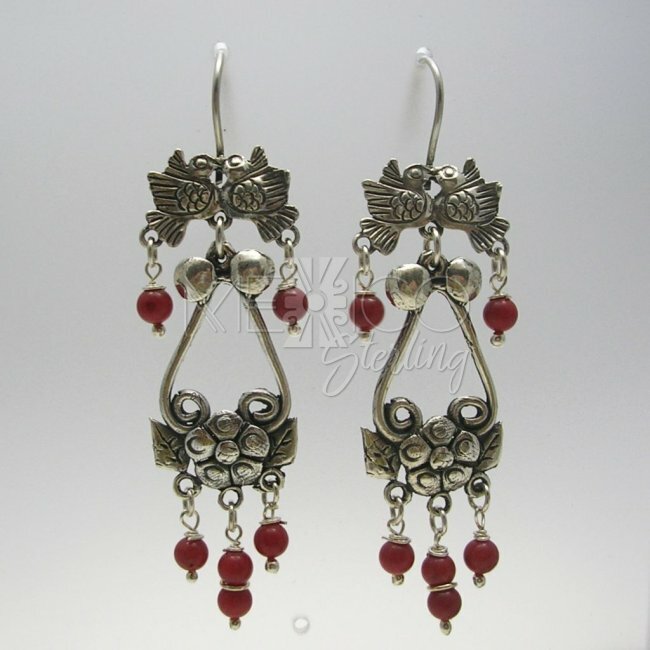 Silver Dangling Earrings Stone Beads [EAR3114] - $46.00 : Mexico Sterling Silver Jewelry, Proundly from Mexico to the world. 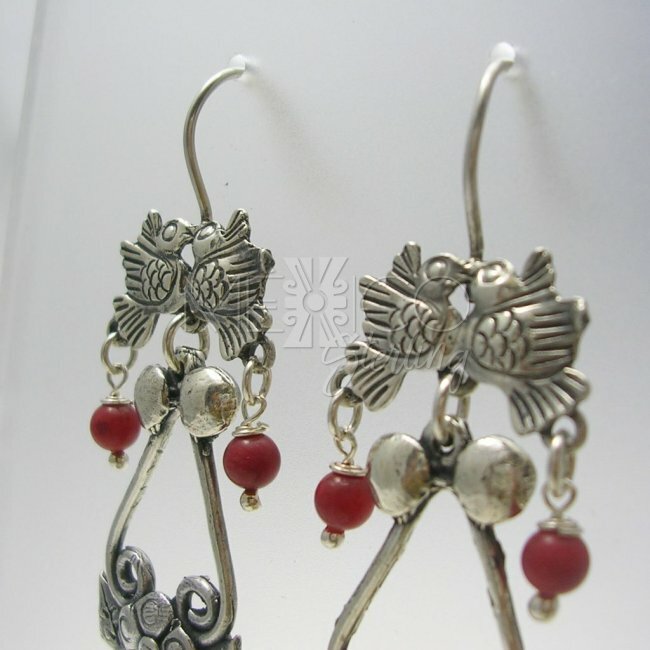 Dimensions: W: 3/4" at their widest point. 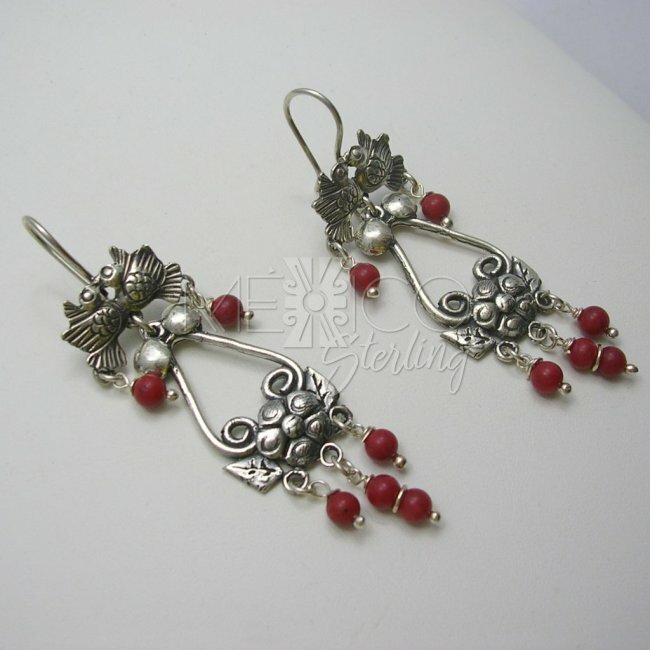 Length : 2 3/4"
This silver design is simple but really charming to the eye. 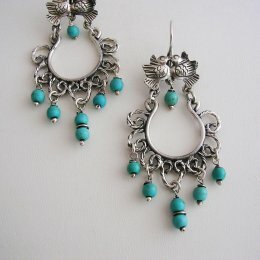 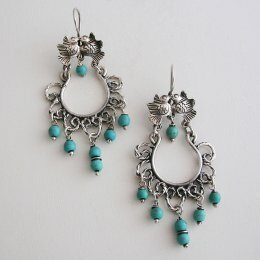 All their features are feminine, making beautiful pieces of jewelry, perfect for a summer fashionable, ethnic look. 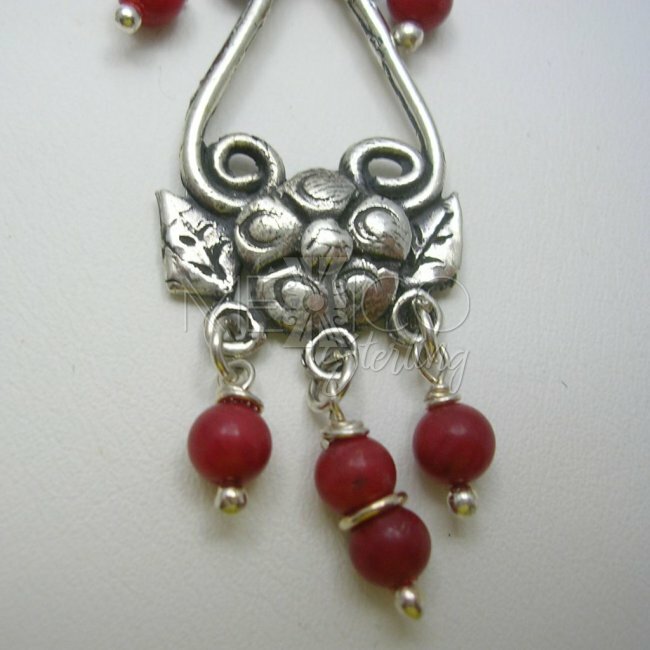 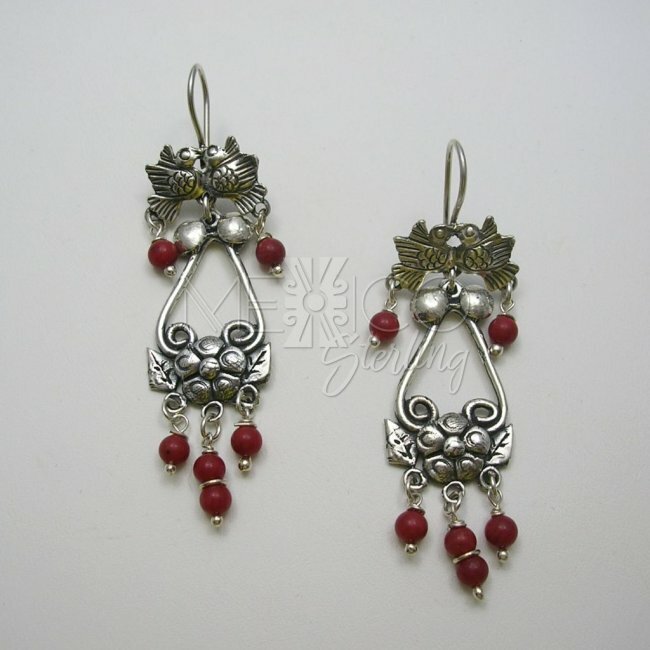 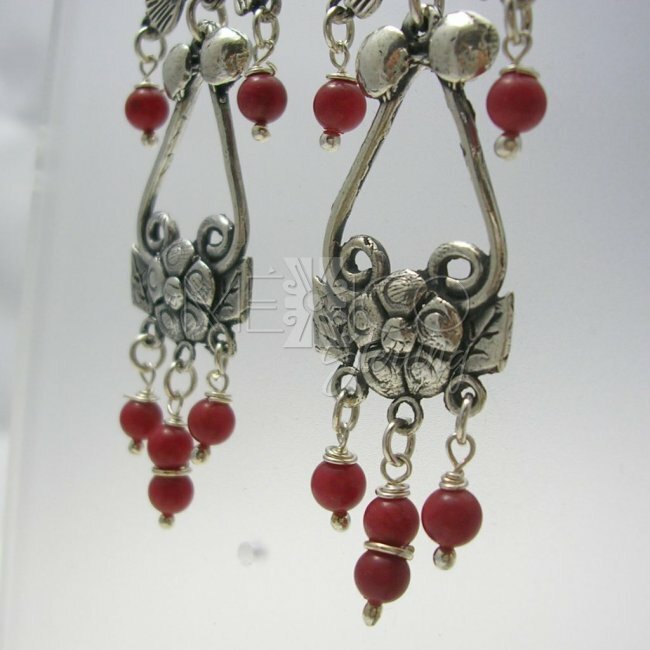 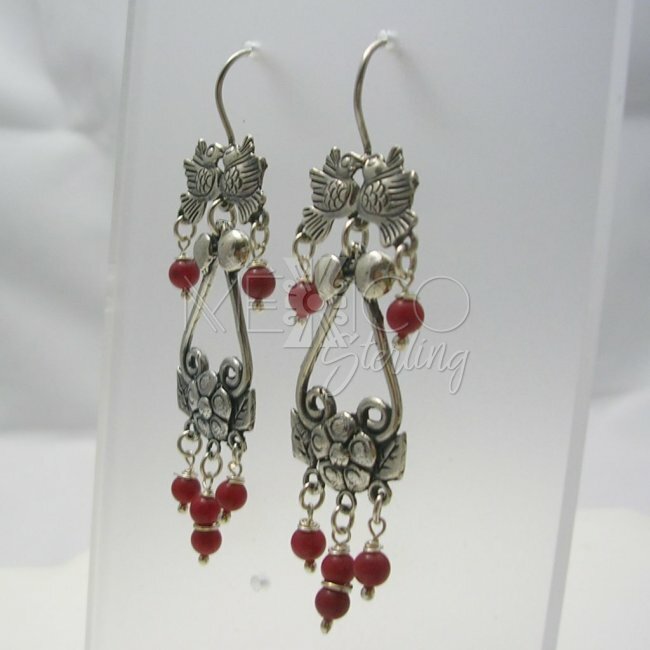 They also carry several coral beads that had been polished and placed all over these earrings to give them an extra special feature that enhances the whole composition even more.